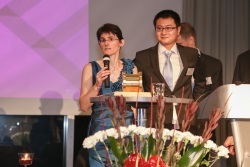 DIMECC Prize is donated by Konecranes Plc. It is explosion-proof crane end carriage wheel made from solid brass. 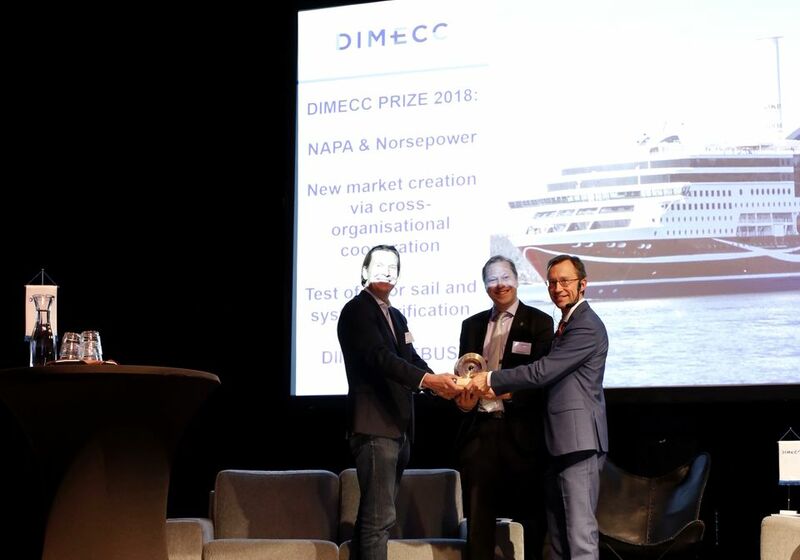 DIMECC Prize is an annual prize given to the best DIMECC act. Last four years the competition has been about the best result in our programs. 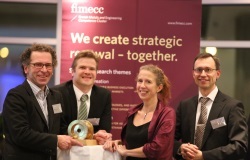 The winner is voted in DIMECC’s annual seminar by the audience. 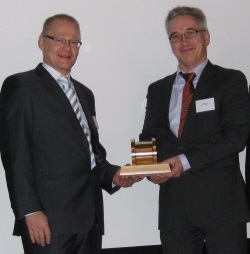 Tuomas Riski and Risto-Juhani Kariranta, accepted the Prize handed by Harri Kulmala. Find the releated press release here. 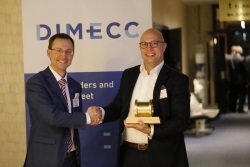 Markku Korkiakoski (right), receiving the prize from DIMECC CEO Harri Kulmala (left). 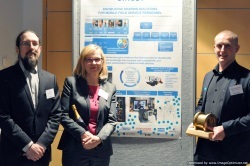 Read more about the program at www.cybertrust.fi, or take a look at related press release. On the picture left to right: Jaakko Hakulinen, Eija Kaasinen, and Pontus Blomberg. On the picture from left to right: Magnus Gustafsson, Kalle Kantola, Katri Valkokari, and Harri Kulmala. 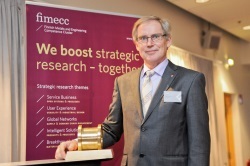 Learn more on press release, FIMECC Newsletter, result video and its press release. On the picture: Timo Paananen. The presentation of this result can be found here. On the picture: Harri Kulmala, Juho Talonen, Outokumpu, and Seppo Tikkanen. Result related press release here. On the picture: Seppo Tikkanen, Matti Linjama, TUT, and Harri Kulmala. Read also related press release and animation.